5 graduates from Sicily frustrated by the stronghold of Maifa overthrew it. Interestingly they did not rely on digital marketing, social media or even cell phones to get their message heard but got things done through the old traditional ways. Step 3: Give them an alternative, a hope. 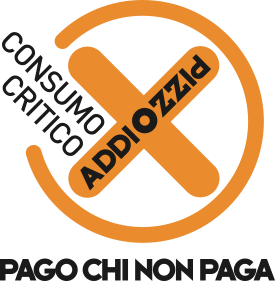 A humble “consumo critico” Addiopizzo sticker is all you need. India has been under the strong grips of mafia and goons who have been trying to influence the business and get their cut. A knee jerk reaction has been to cleanse the streets by extra-judicial encounters by police & paramilitary (like in Mumbai). But as most people realize that it only does 2 things, give police draconian powers to dole out street justice and secondly the mafia kingpin moves its headquarters abroad but the operation is managed by the same set of street-level runners via cell phone. The individuals who try to fight the battle often gets singled out and molested/raped/killed. Human beings are not so complex and respond very well to economics & social status. This is exactly what this band of 5 individuals did. They shamed the public in order to reach a critical mass and create an economic demand for Mafia free business. You don’t need technology and education for bringing out mass social change. The plain old school tactics is often enough to get the voice heard.